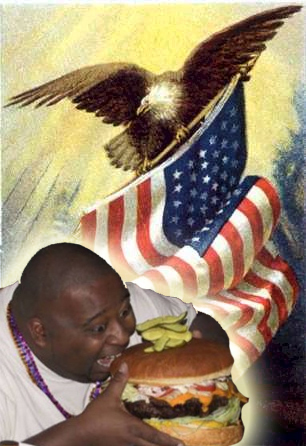 We, as a nation, love food. We will chew, chomp, slurp, and choke down anything and everything we can dig our meat hooks into, while simultaneously thinking of when, where, and what we will gorge upon for our next meal. As such, is it any wonder why we have become a sea of overweight and obese men, women, and children over the past decade? When we are not cramming crab cakes down our pie holes, we often find ourselves talking about or thinking of food during every waking moment—with mouthwatering lust. Television has amplified our zeal for eating with unprecedented efficiency over the past several years. We watch cooking shows that glorify celebrity and amateur chefs alike, giving us ideas on how to spice up our food preparation skills at home. We also enjoy watching programs that feature the distinguished palates of eaters from all walks of life, whether they be professional food critics, competitive eaters, or annoying slobs with frosted platinum hair who wear sunglasses on the back of their head. As long as there is eating involved, we are watching. This media assault has enabled the critical, high-brow gourmand residing in all of us. We don’t call onions “onions” anymore. They are shallots, scallions, Vidalia onions, purple, yellow, or white onions, or leeks. Instead of shaking McCormick’s dried Italian seasoning and Kraft parmesan cheese product over Ragu-covered spaghetti, we insist on using only the freshest hand-picked herbs and finely grated parmagiano reggiano to accompany our artisanal gnocchi. We also learn that ingredients must be culled from local farmers’ markets and painstakingly prepared from scratch to taste just right. The power of TV has also elevated the cachet of niche food into the national limelight. A cupcake used to be a cheap, plastic-wrapped food bribe for children. However, after gaining popularity on television shows, it is now a rich, creamy, calorie-laden delicacy for which grown adults will wait in lines for 30 minutes for the opportunity to indulge their ever-enlarging sweet tooth. Never underestimate the power of the television. Thanks to television, the idea of creating and consuming high-end cuisine has proliferated beyond the meticulously decorated walls of cleverly-themed restaurants and spilt into the realm of roadside grub served from a truck. Washington, D.C. has witnessed a booming food truck sensation over the past year, where there are now approximately 100 food trucks dishing out chow and representing flavors found across the globe. 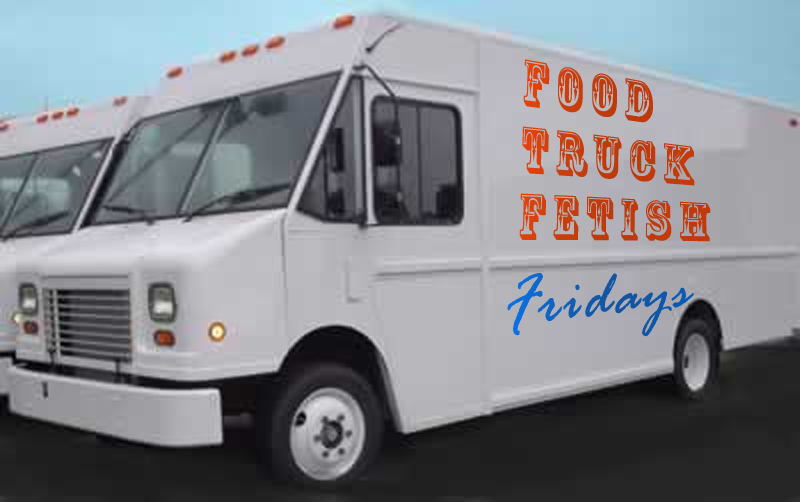 Luckily for me, my office is located near major hubs of food truck commerce, so I figured I would go ahead and taste for myself. Taste is subjective and cannot be truly judged as “better” or “worse,” except for bacon (“best”). For these reviews, I cannot simply compare apples to tacos because tacos would win every time. But there are good tacos, there are bad ones; there are some good apples, but they’re mostly bad. And no matter what anybody says to the contrary, a cupcake is ALWAYS just a cupcake. I will also give attention to quality of service, concept of food truck and menu, highlight their specialties, and sum it up on a simple factor: whether I would go back to each food truck as a paying customer. To say that Indian buttered chicken is merely “good” is an understatement of criminal proportion. In India, they’d swat you upside the head with a plastic Bata flip-flop should you utter such blasphemy. To celebrate my victorious raffle draw from the Trucko de Mayo, I chose Fojol Bros’ Indian food truck, Merlindia, as my first free lunch. Having satisfied previous cravings for buttered chicken from this truck, I had a hunch that my next indulging would taste even better upon tendering my voucher, which was good for a complimentary three-item platter. I was right. Fojol Bros’ buttered chicken lives up to the expectation that it is indeed the most supreme form of Indian food known to mankind, surely bequeathed to us directly from the hand of Hindu goddess of cooking and food, Annapurna, herself. Named for the use of Indian clarified butter called ghee, this dish offers the diner a rich, buttery gravy infused with the usual blend of subcontinental spices ranging from savory garlic and coriander to a touch of sweetness with hints of ginger and cinnamon. Coupled with a tasty rendition of palak paneer (or spinach with cheese cubes for the Anglophones) and nicely-cooked basmati rice, the meal was a surefire winner for me. What I was pleasantly surprised by was their side of pumpkin curry. It was able to walk the fine line of not being too sweet with enough of a savory balance that effectively changed my perspective of pumpkins’ existence solely for the sake of kids to carve up at Halloween, to a menu item that actually tastes really good. 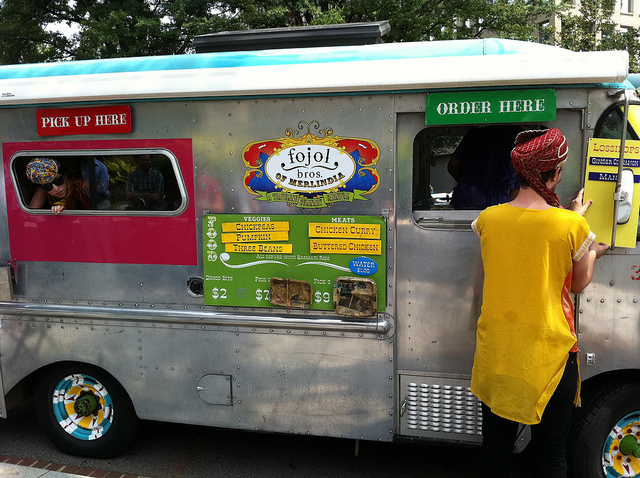 In addition to the Merlindia truck, Fojol Bros boasts two others that serve up Ethiopian and Thai cuisine. If that isn’t enough, they also have a van dedicated to dispensing lassipops, which are popsicles concocted from the sweet Indian nectar we know and love, lassi. Not sure that I could possibly give my maiden review a full 5 hungry hippos, but a 4.5 is well-deserved. Friendly, personable staff and quick service make this truck one of the best in D.C. Not sure how they manage the positive attitude either—if I were cooped up in a truck for four hours every day, I’d be one surly sonofabitch. Recommended dish: Buttered chicken (in case you missed the subtle hints above) and pumpkin curry for the side. Also, say “yes” when they ask if you want chutney applied on top of the dish for a little extra spice kick (the green-colored spicy sauce that is sitting inside the window). And I would recommend you check them out next time you are jonesing for a flavor party in your mouth. Next week, I will review Borinquen Lunch Box and their sublime Puerto Rican Tripleta sandwich featuring a fantastic, heaping mix of meats that will please the carnivores and convert vegetarians to the dark side of the force. This entry was posted in Lifestyle and tagged D.C., DC, Fojol Bros, food, food truck, Merlindia, truck, Washington by Troy Beckman. Bookmark the permalink. Love the new theme and content. Wife and I watch Food Network and Cooking Channel on weekends (between sporting events usually) and we in fact are veterans of watching all these shows and features on food trucks, truck competitions, etc. Looking forward to future posts.